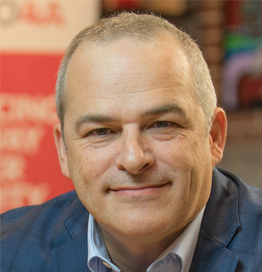 With more than 30 years in the security industry, Bruno Couillard, P.Eng., brings a wealth of knowledge and expertise in the field of technology and cybersecurity. He served 10 years as a Telecommunications Officer in the Canadian Forces followed with service for the Canadian federal government where he worked on multiple high assurance security designs and evaluations. He also held senior security architect roles with the Canadian Cryptographic Modernization Program and the Canadian delegation on NATO standardization committees. Bruno is best known for his leading role in the development of the Luna hardware security module (HSM) and as the co-founder of Chrysalis-ITS (now owned by Gemalto). Bruno contributed in defining the PKCS#11 Standard, the API to cryptographic tokens, and has authored patents on security of root key transfer; time stamping; time synchronization; amongst others, and continues to develop new ones to this day. With Crypto4A, Bruno is developing the next generation HSM to address the impending quantum computing era while providing a modern cybersecurity environment for applications deployments adapted for cloud and managed security service providers. He is recognized as a thought leader in the cybersecurity and key management space and determined to continue improving the underlying security of the digital economy.